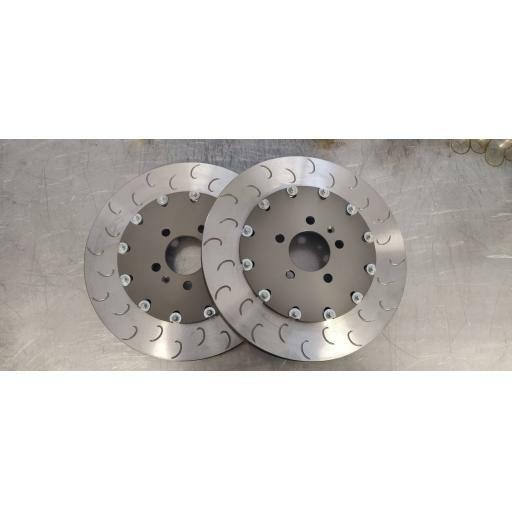 Rotors, Custom Badger5 Billet T6 Aluminum bells ( Hard anodized ) and Genuine AP Racing bolt/bobbin package. 330mm x 28mm : Leon Cupra R Brembo Fitment. Fixed two piece or float in bell options. 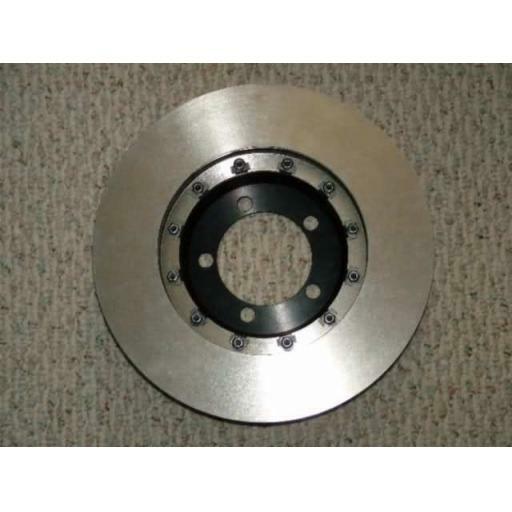 Improved braking over solid discs, offering weight reduction over full steel construction, improved heat dissapation and reduced heat transfer to hub/bearing assembly. 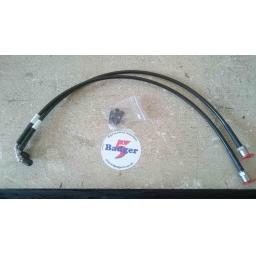 Plain as standard, grooved/J-hook available on request.